You are currently browsing the tag archive for the ‘Christening’ tag. 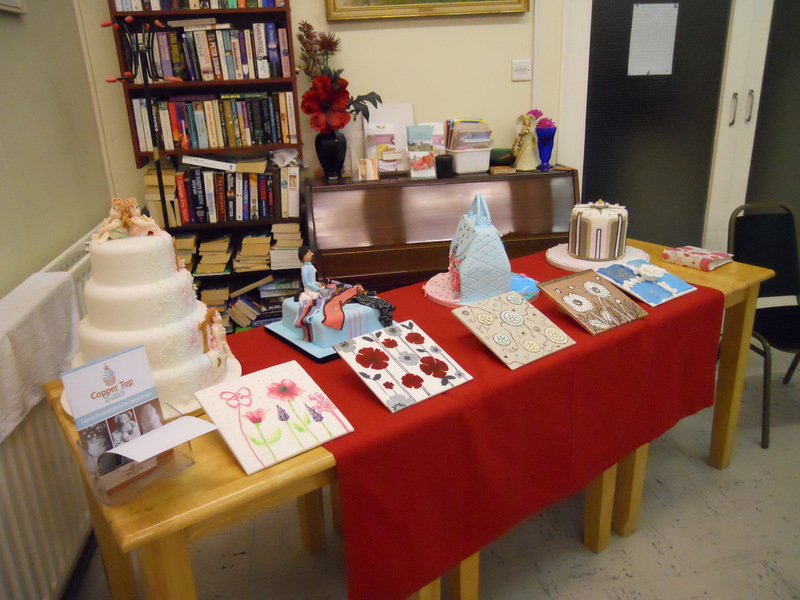 This cake was commissioned by proud grandparents to celebrate the christening of their one year old grandson. 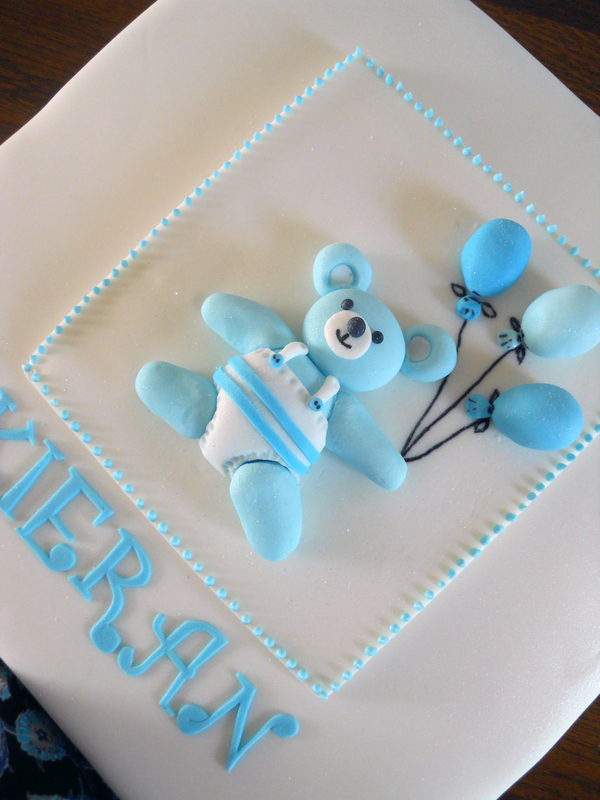 Obviously the theme was going to be blue for a boy and the centre piece is a cute little teddy handmade to my own design. 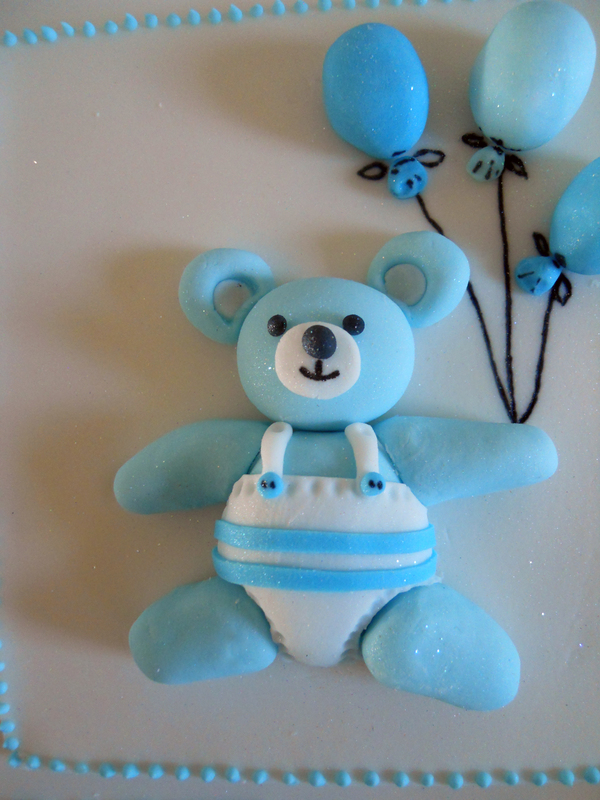 To keep the focus on the teddy with the balloons I decided to keep the rest of the cake simple. 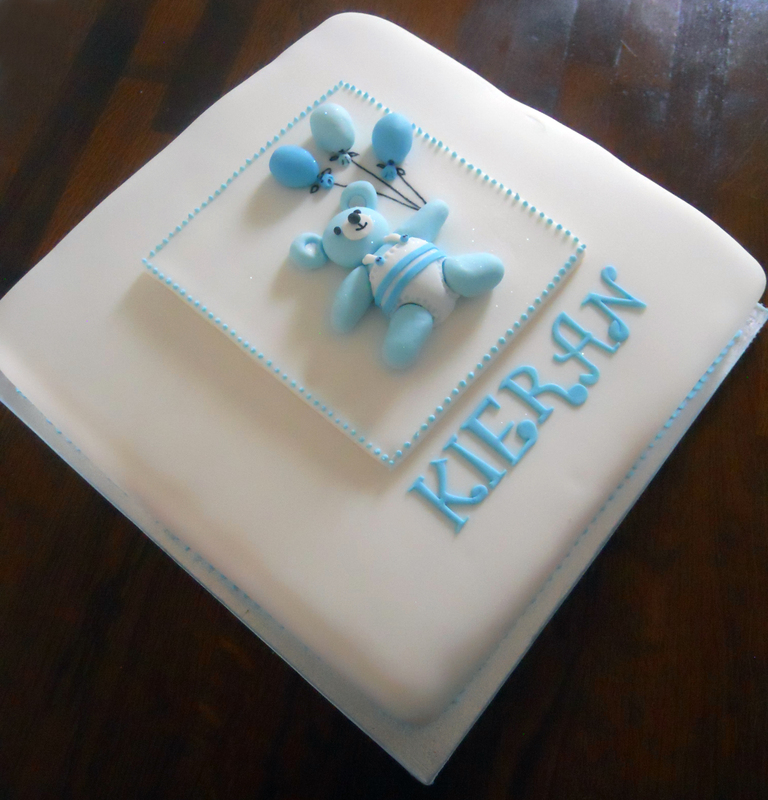 The teddy is sat on a plaque which is edged with blue dots which are also be found round the base of the cake along with matching ribbon.